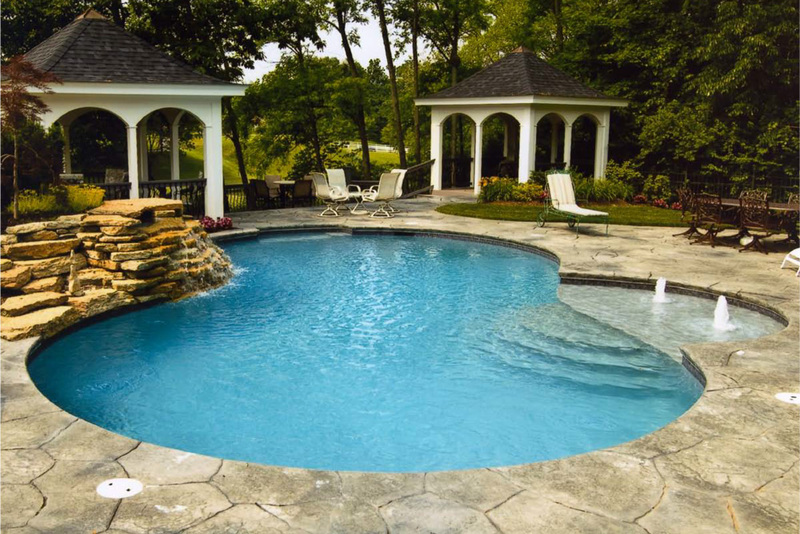 “Decorative concrete is fun and exciting. I love being challenged by the customer to create a look from something that starts with a thought,” he says. Patterned Concrete® Industries, Schneider, 55, has designed and installed decorative concrete for a wide scope of commercial and residential projects — everything from municipal buildings, theme parks, casinos and shopping centers to restaurants, pool decks and patios. residential. Most of his work is done within a 100-mile radius of Cincinnati, in cities such as Indianapolis, Columbus, Ohio, and Lexington, Kentucky. on time from the University of Cincinnati with a bachelor’s degree in accounting. He had planned to return and work on a degree in construction management, but that never materialized. One of his more memorable Baker projects, he says, was placing and finishing the concrete at the Georgia World Congress Center, the big convention center in downtown Atlanta. “Here I was, 23 years old and responsible for a quarter million yards of concrete and 1.5 million square feet of floor,” he says. Schneider was instrumental in helping to create Baker’s decorative concrete program in 1988. When he left to start Patterned Concrete® of Cincinnati a few years later, Baker signed on as one of his clients. concrete construction business and how to treat a customer,” Schneider says. above all, you should treat people with respect. lies. There’s also the business side, where many tend to be weaker. down its brightness. They also created two focal point areas — one looks like a giant checkerboard that’s used for occupational therapy exercises and games, while the other features a compass point and various military emblems to create a gathering place and to help foster conversation. has served on the associate board. He also belongs to Allied Construction Industries, a nonprofit trade association for commercial contractors in greater Cincinnati, as well as the local chamber of commerce. Schneider’s favorite aspect of his decorative concrete work is when a client gives him artistic freedom with a project from planning to final product, rather than dictating exactly what needs to be done. His showroom, which consists of 800 square feet inside and 3,000 square feet outside, displays more than 20 stamp patterns in an array of 24 colors. This allows his customers to see the real color instead of just looking at a color chart. He exclusively uses Patterned Concrete® Industries stamps, which he says are the best in the business.